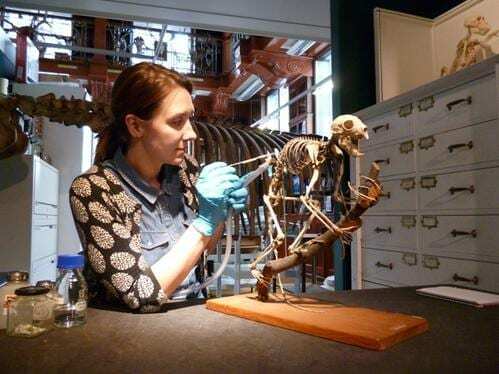 The quagga will be the focus and most involved element of Bone Idols: Protecting our iconic skeletons, a major project of conservation across the Museum’s displays. Interventions will range from deep cleaning bones, repairing damaged elements and re-casing specimens through to remounting huge skeletons. 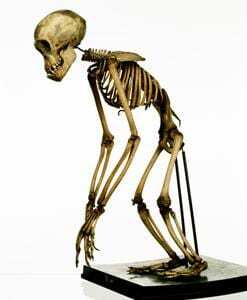 Among the 39 skeletons involved, the Museum will be conserving its critically endangered gorilla, Siamese crocodile and Javan rhino, and endangered tiger, chimpanzee, orang-utan and Ganges river dolphin skeletons. These are effectively uncollectable today. Check out the Flickr album to see some of the specimens involved. The Bone Idols campaign is really important for the future of the collection, if we want to continue to use our specimens every day in our fantastically popular programmes with schools and the public, as well as university teaching and research. We were founded in the 1820s as a collection for teaching, and this ethos runs through the Museum today in the way we allow extremely close access to specimens for our visitors. Visitors will get to see the work in action: as much of the conservation as possible will be performed in the public eye in the gallery. This will shed light on a crucial element of museum work which gets little public attention. We are undertaking our first ever public individual giving fundraising campaign to meet the costs of the Bone Idols project. The Museum has committed around half of the total funds needed, and has received contributions from Arts Council England’s Museum Development Fund and the Natural Sciences Collections Association, demonstrating the importance of the work to safe-guard these globally important specimens. The Museum is now turning to the public to help raise the remaining funds required to undertake this critical work.